Anyone who thinks writing is a lonely business, who thinks that the literary world is composed of a few authors working away in their garrets should visit the London Book Fair. 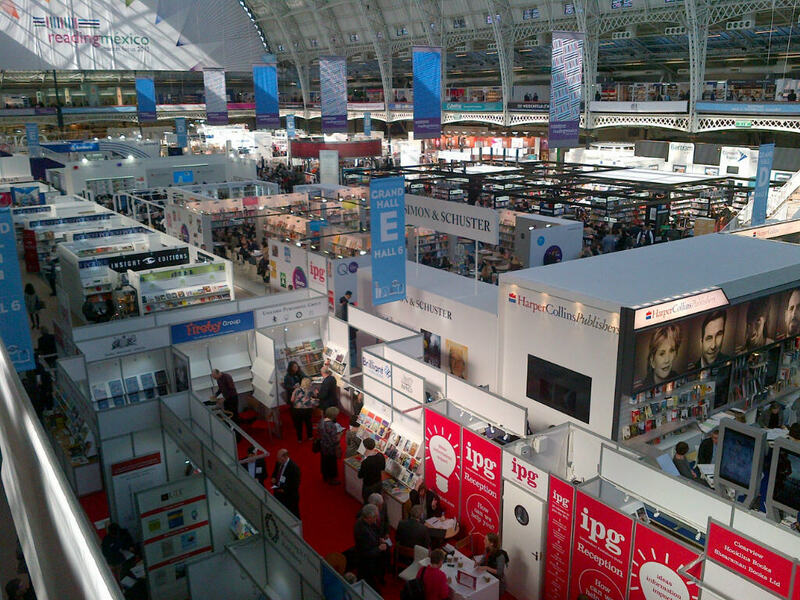 It was my first visit to the LBF this week and it was a pretty overwhelming experience: two vast halls at Olympia, plus the upstairs galleries and various side-rooms where the international deals are struck. Amidst the stands down there, serious business is being done; agents, editors, publishers, distributors…gathered around tables in plain sight or deep behind those promotional screens. One struggling author feels quite humble amidst all that. The ‘Author HQ’ held a series of handy seminars, at which one speaker said he was not going to ‘pull up the ladder’ behind him. Experience was shared, advice was useful and at times brutally genuine. With the explosion of e-books and print-on-demand, self-publishing is moving into the mainstream, no longer confined to ‘vanity publishing’; big publishers admitted that their lists are ‘mature’, more or less filled by existing writers and backlists of the greats. Guidance of the pathway into Kindle Direct Publishing, Cover Design and PR/Marketing for authors were the seminars I found handiest. Networking on your feet, or in the bar, can be exhilarating too. Yes a writer is part of an industry. One of the seminars for authors began with the acknowledgement that “there are many people in this building hoping to make money out of you”. Creating good art feels satisfying, but making money as well? Better.